Is Fish Oil Proven By Medical Science? Let's face it, when it comes to health claims, most things are pure hype. It's very rare when something actually lives up to the hype or exposure it gets in the media. In fact, omega 3 fatty acids may be the only thing that deserves all the praise heaped upon it. What's particularly fascinating about omega 3 fatty acids is that both conventional and alternative medicine agree about fish oil's many benefits. If you know anything about alternative health, or are knowledgeable about the natural health field, you'll know this is something that doesn't happen too often. Normally, conventional medicine supports the interventionist approach, not the preventative one. Until now. Do Doctors Recommend Fish Oil? But now it seems the evidence about omega 3's is so overwhelming that even most conventional medical practitioners will often recommend increasing their intake in the diet through foods or via supplementation. Many health experts and researchers believe that omega 3 fat is the one essential nutrient most missing in our modern day diet. This deficiency is now believed to play a major role in why there is such rampant heart disease, cancers, and brain disorders. 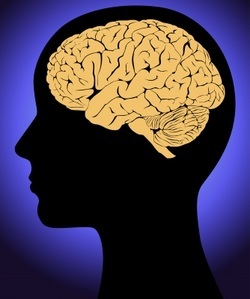 Fish Oil = Fatty Brain = Miracle? The brain, our master organ that controls the entire body, is made up of a tremendous amount of fat by weight. Most people don't know this. And a significant portion of this fat is the omega 3 fatty acid known as DHA, short for docosahexaenoic acid. This means that nature intended the human brain to be "powered" by fats, so to speak, and if you don't have enough, your brain won't be able to run properly. Deficiencies in omega 3 fats have been linked to: depression, anxiety, mood swings, bipolar disorder, postpartum depression, Alzheimer's disease, ADHD and ADD. and approximately half of that fat is DHA omega 3. Fish oil supplements, very high in omega 3 fats, have been shown to help those with heart disease, and help protect those who don't, but might be susceptible to it down the line due to family history. How does it do this? Well, for starters, omega 3's can make platelets in the blood less sticky. This prevents them from clumping together, which can trigger heart attacks if they do as blood flow can stop. In addition, omega 3's can reduce tryglycerides -- these are blood fats closely related to cholesterol -- and when they are high along with cholesterol, your chances for heart disease go up markedly. 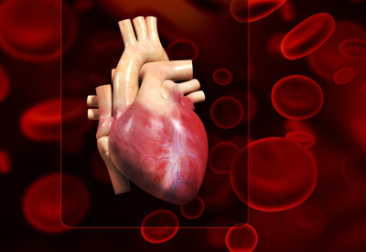 Research has also shown that omega 3's can help reduce or prevent heart rhythm abnormalities by making the electrical system of the heart stronger. What's Wrong With The Modern Diet? Modern farming practices -- for both the meat and agricultural industries -- have made food a lot less nutritious than it used to be. One of the consequences is that foods that used to contain high levels of omega 3 fats are now a poor source. In a nutshell, large scale farming raises meat for one purpose: profit. There's nothing wrong with profit per se, but when you are feeding millions of people, you want to raise the animals as fast as you can, make them as fat as you can, so you can produce as much meat as you can. What this means it that the beef, chicken, lamb, & you name it -- those you buy at the local grocery store -- are typically grain-fed and fattened meat. By contrast, animals that eat organic natural diets (i.e. free-range, grass-grazing) produce meat rich in omega 3's. Once you force them to eat grain-based feed to fatten them up, their omega 3 content virtually disappears. You've all heard the saying that you are what you eat. Well, animals are what they eat too. And if you eat the animals....then you are what they eat. And that is largely grains and corns. What about fish? 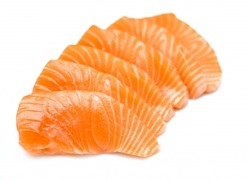 Many fish are naturally rich in omega 3's -- specifically fatty fish like salmon, mackerel, and tuna. How to Find the Best Source of Fish Oil? Well, if you want all the benefits of omega 3 fatty acids without the harmful toxins that you'd get by eating a lot of fish, the solution is to take a molecularly distilled fish oil supplement. Not only are purified fish oil supplements the best source, they are also the most economical. A month's supply of top notch product will set you back less than $20 dollars a month. If you go buy a few fillets of salmon or tuna at the local fish market, you'll spend that much just for one dinner. If you've decided that you should start including a fish oil supplement as part of your daily health regimen, you need to know how to compare one brand against another. This, of course, will allow you to get great value for money and the best product you can buy. I have compared dozens of brands before deciding on one (see link to my fish review below). What I've found is that the most expensive products are not the best. Some products cost more because they are heavily marketed or have celebrity endorsements. This means they charge more so they can pay for all that marketing, not because the product is necessarily better. On the other end of the spectrum, some products are ridiculously cheap. Upon further investigation you find out the oils aren't molecularly distilled (which means they harbor contaminants), or the fish species aren't rich in omega 3's, or that the manufacturer has no process to keep the fish oil fresh. Fish oils are subject to quick oxidation...that's a natural bio-process causing fish to lose freshness and go rancid. And taking oxidized fish oil can actually harm your health! ● Type of fish being used -- is it naturally high in DHA and EPA omega 3? And especially DHA? ● Is it purified / molecularly distilled? 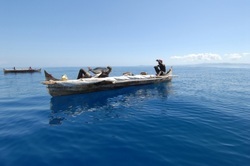 ● Is the fish caught locally near where the product is produced, ensuring freshness? Or is rancidity a concern? ● Does the product state the exact amount of DHA omega 3 and EPA, and not just the "total" omega 3 content per serving? ● How many servings does it contain per bottle? If product A costs $18 dollars for a month's supply, and product B costs $15 dollars for a month's supply, most people just think, well, $15 is a better buy. Not so fast! What if product A has 1,000 mg of omega3 per capsule, and product B has 500 mg. They both have 60 soft gels, and the recommended dosage is 2 per day. Well, now the $15 dollar product definitely doesn't seem like the better buy because product A is only $3 dollars more but contains twice the omega 3 fats per capsule. So, you see, there's a little analysis and research that goes into this, which is not too difficult and is definitely worth doing because omega 3's are indisputably one of the most important substances for good health and well-being. If you are going to use a product, and conceivably take it for the rest of your life, doing a few minutes of research, as you are doing by reading this page, can pay off immensely over the years when it comes to your health and your family's health.